No one is certain when scavenging for items, found on the River Thames foreshore, to sell or trade became popular, but, during the 18th and 19th Centuries, many youngsters and the elderly could make quite a living from the endeavour. It was during this time that the term Mudlark was first thought to be used. One of the reasons that people turned to Mudlarking is thought to be a lack of skills and poverty. 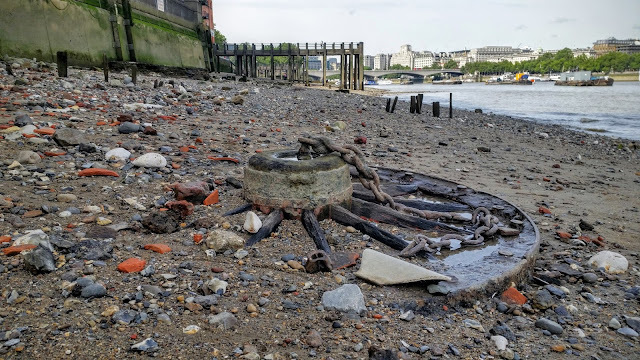 Mudlarking was also quite often seen as a criminal activity as it was thought that many Mudlarks pilfered items from passing ships and crews, which some quite possibly did. There are many rules concerning the use of metal detectors, digging and Mudlarking along the River Thames, many of which are listed on the link below.